Where did the year go? I feel like I just prepared last year’s Christmas gift post! But here it is, Black Friday already, and after a great Thanksgiving dinner at Hotel Henry, it’s time to buckle down and whip out the shopping list. 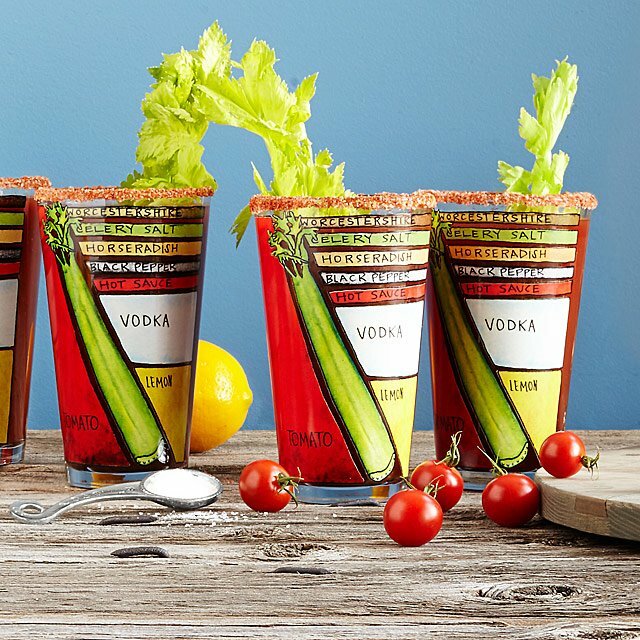 Bloody Mary Cocktail Branches – $18 – Tired of your garnishes sinking into your drink? Then get this set of two stainless steel picks to hold ’em up. Bonus: They are made here in Buffalo NY! 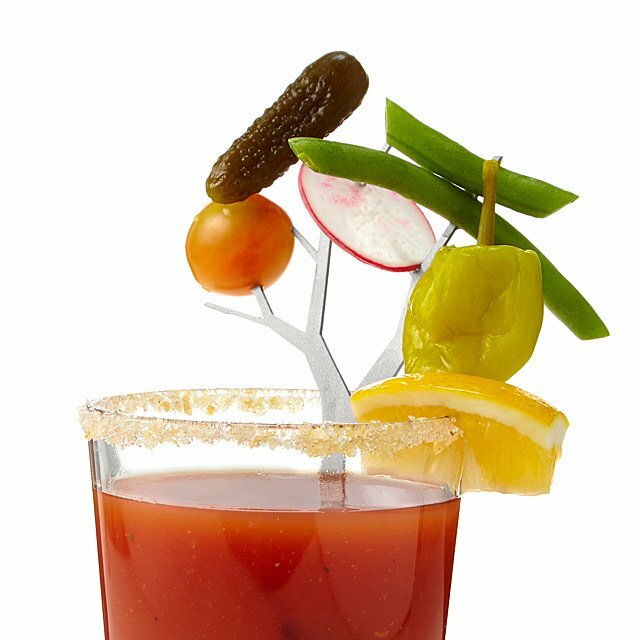 If you need to clean up after making your Bloody in those fancy glasses, with a ton of garnishes on the branch, here are a few good options. 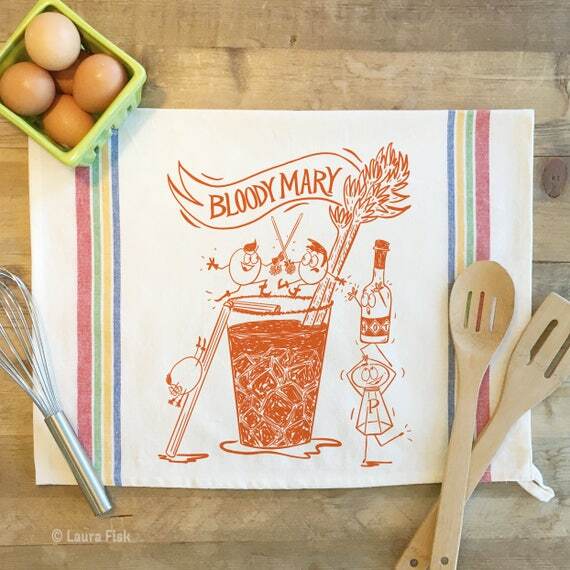 Perfect Bloody Mary recipe tea towel – $18 – This towel is a super cute hand drawn Bloody Mary recipe (in case you forgot the recipe AND broke your fancy glasses from above). Even if you don’t need a recipe, it’ll look great in your kitchen or bar area. 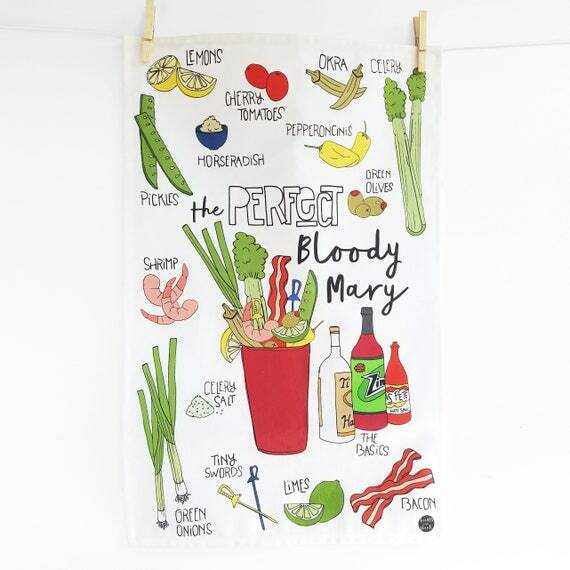 Fighting Garnishes tea towel – $18 – Sometimes the garnishes just have enough of each other. Hand-screenprinted for your viewing pleasure. 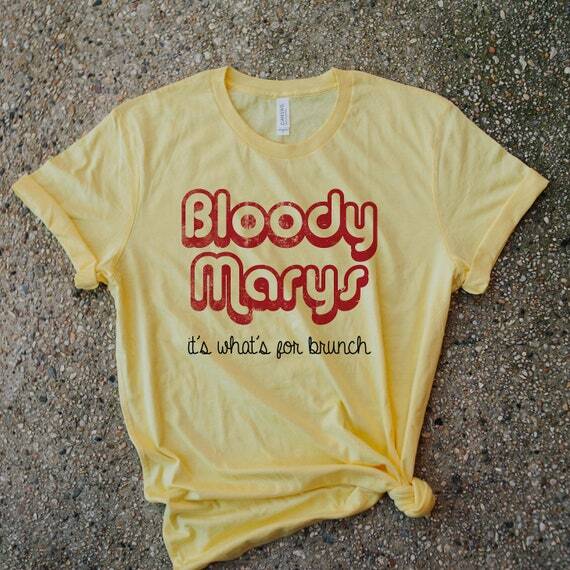 Need something to wear to brunch? I got ya. 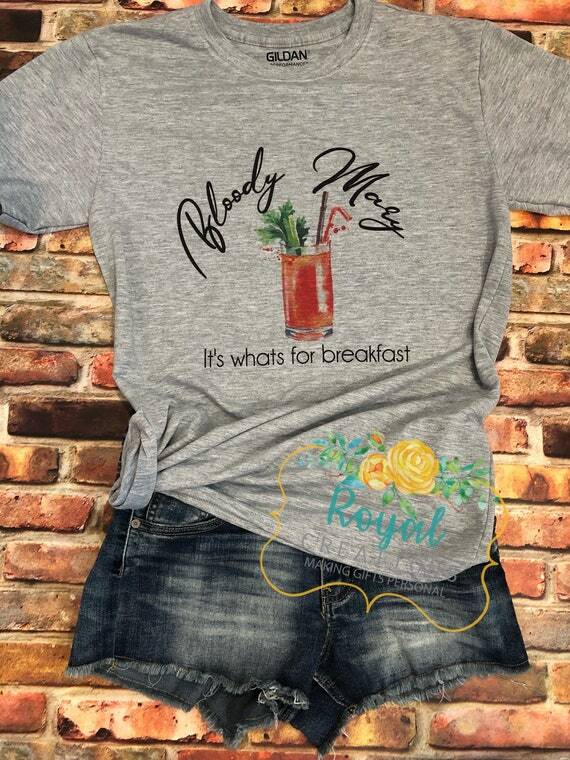 Vintage Graphic Bloody Mary T-shirt – $23.50 – soft, light weight and unisex, the perfect gift for everyone! It’s What’s For Breakfast t-shirt – $22 – It may be what’s for breakfast but we all know it’s also what’s for lunch and dinner too. Just need something small? Have a few stocking stuffers. 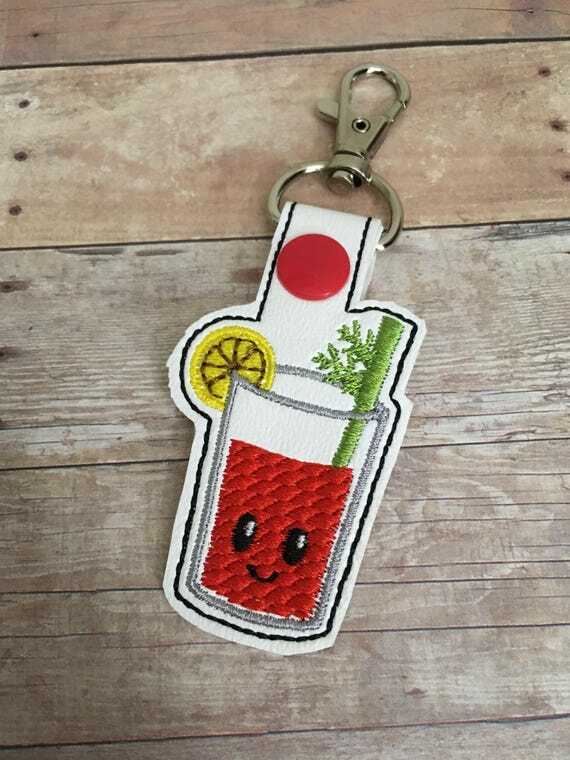 Bloody Mary Keychain – $4.50 – This is such a cute little embroidered key chain, any Bloody love would adore it. 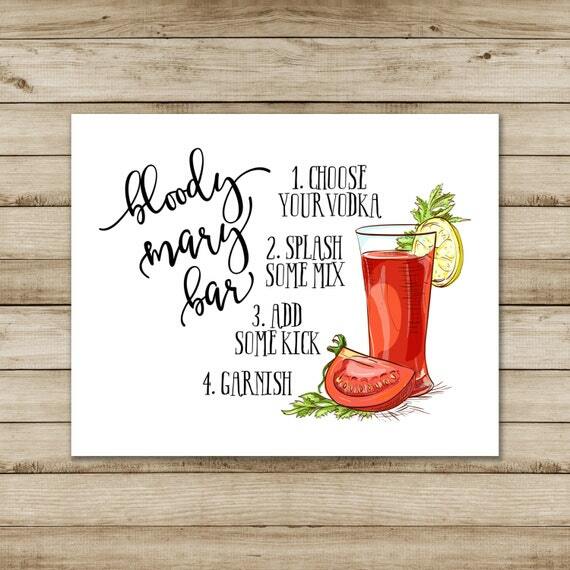 Bloody Mary Bar Print – $5 – Running out of time to get someone a gift? This cute print is an instant download. Just get this pdf printed on a quality paper, get a cheap frame, and voila. Some nice wall art! Don’t forget to check out last year’s list, or my Etsy Collection, as many if not all of the gift ideas are still available. 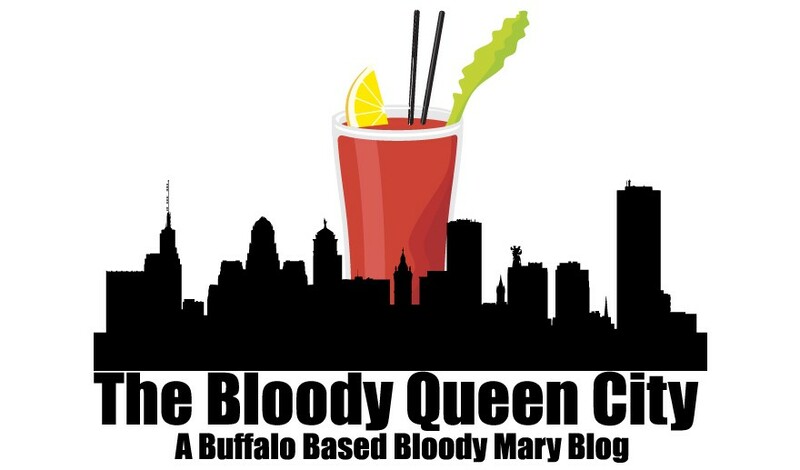 Happy Holidays and have a Bloody for me!